Explore the unexplored in Colombia and Ecuador! Trek through the jungle in Colombia! Journey through the awe-inspiring landscapes of Colombia and Ecuador on this epic adventure! Discover sizzling city streets, perfect coastlines and long-lost civilisations as you travel with a group of fellow adventurers and a dedicated tour guide. 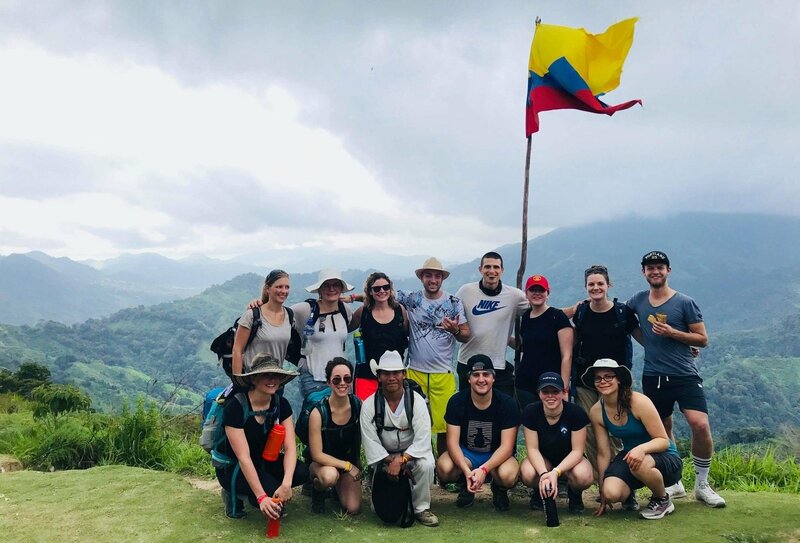 You’ll spend 5 days trekking through dense Colombian jungles in search of the Lost City of Teyuna, you’ll relax on perfect beaches in Taganga and Tayrona, and you’ll wander the sandy slopes of the the Tatcoa Desert! This is an epic adventure through some of the most untouched regions of South America. 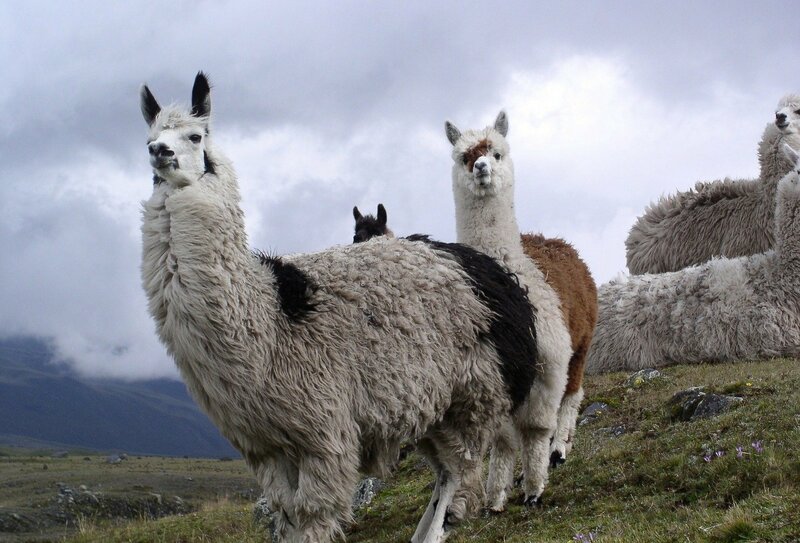 Discover Colombia and Ecuador with a group of like-minded adventurers! 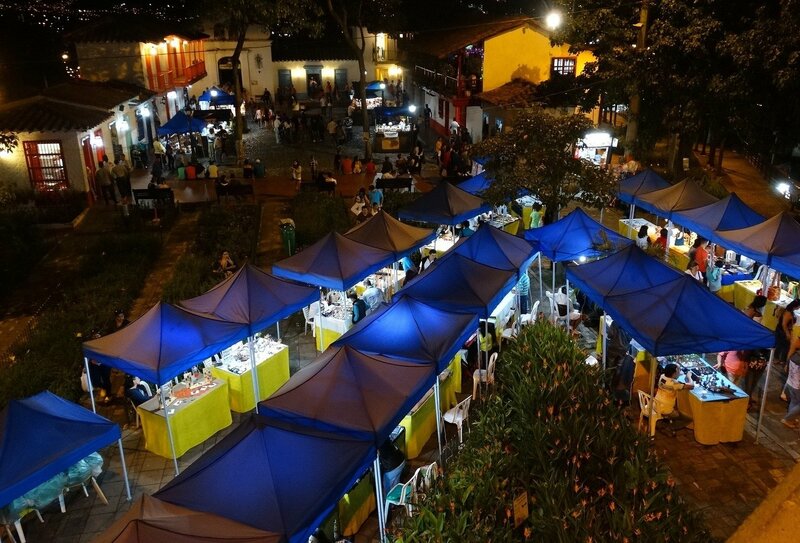 Check out charming city of Medellin! Day 1: Arrive in colourful Cartagena and meet the group! Day 1: Arrive in colourful Cartagena and meet the group! Day 2: Explore the amazing colonial city! Day 2: Explore the amazing colonial city! Day 2: Jump into Colombia's amazing nightlife with your group! Day 2: Jump into Colombia's amazing nightlife with your group! 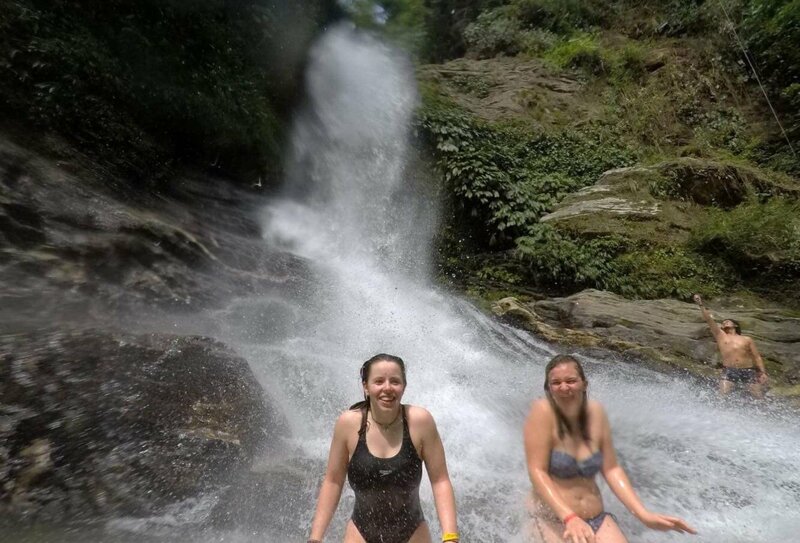 Day 4-8: Trek through the jungle in the stunning Sierra Nevada mountains to the mysterious Lost City! 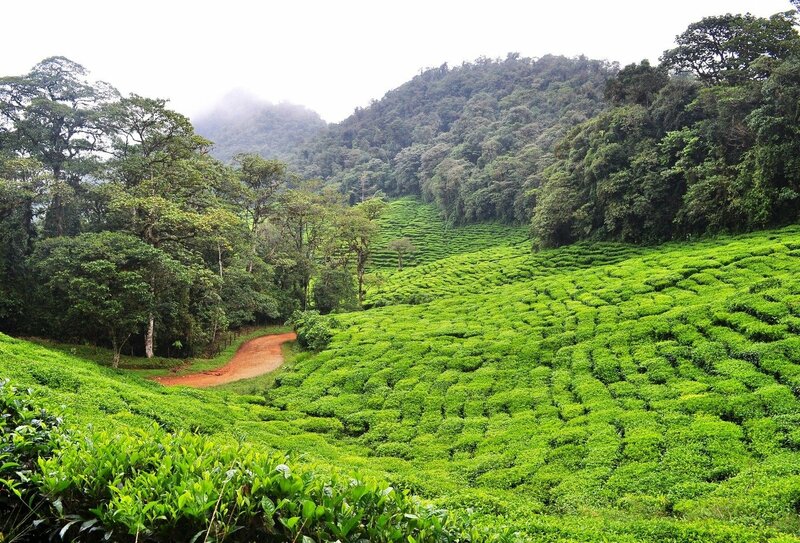 Day 4-8: Trek through the jungle in the stunning Sierra Nevada mountains to the mysterious Lost City! Day 10: Hop to metropolitan Medellin to explore this amazing city! Day 10: Hop to metropolitan Medellin to explore this amazing city! Day 11: Free day in Medellin, why not opt to explore the city from above and paraglide? Day 11: Free day in Medellin, why not opt to explore the city from above and paraglide? Day 13: Jump into Colombia's famous coffee culture in stunning Solento! Day 13: Jump into Colombia's famous coffee culture in stunning Solento! Day 14: Arrive in Bogota, Colombia's amazing capital! Day 14: Arrive in Bogota, Colombia's amazing capital! 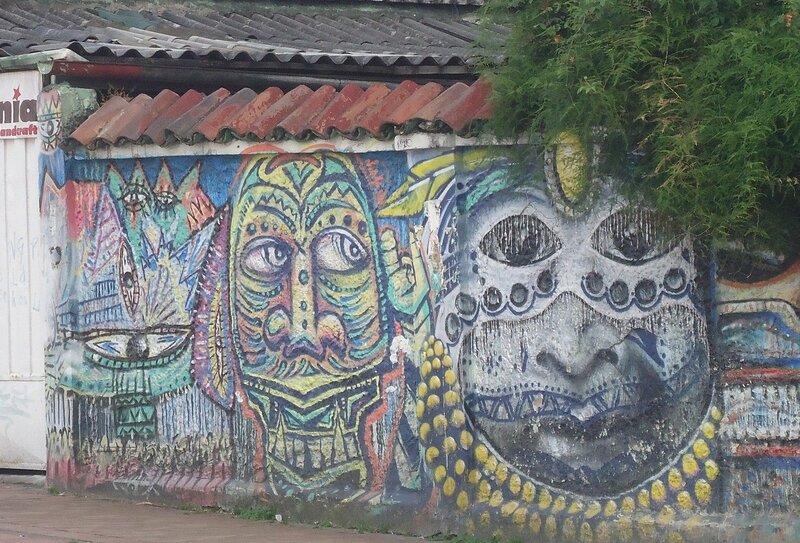 Day 15: Explore Bogota, take in the street art, or why not check the view from Monserrate! 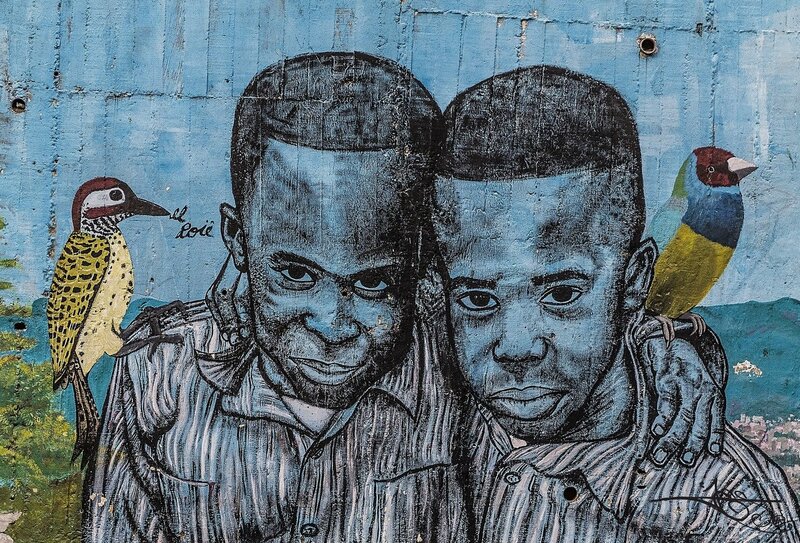 Day 15: Explore Bogota, take in the street art, or why not check the view from Monserrate! Day 16: Head to the incredible Tatacoa Desert and sleep under the stars! Day 16: Head to the incredible Tatacoa Desert and sleep under the stars! Day 17: Arrive in colonial Popay?n, and relax in it's cool cafes and bars! Day 17: Arrive in colonial Popay?n, and relax in it's cool cafes and bars! Day 18: Jump to Pasto, nearly the border with Ecuador! Day 18: Jump to Pasto, nearly the border with Ecuador! 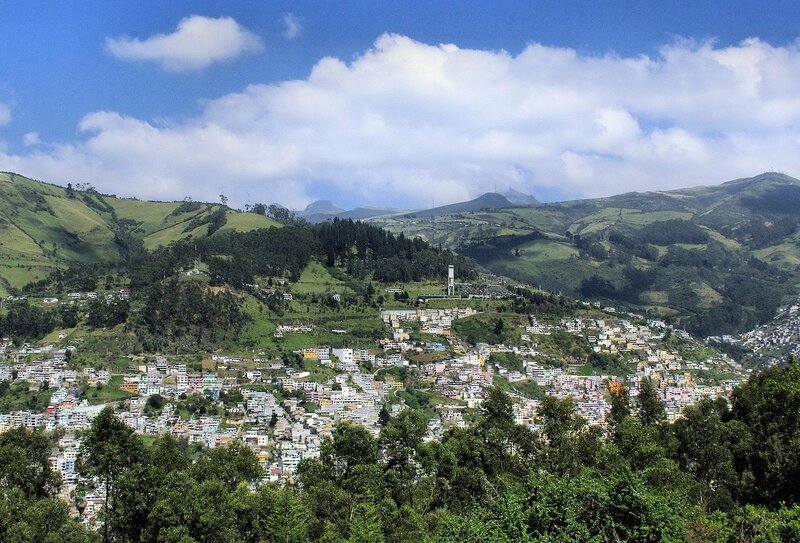 Day 19: Leave Colombia behind, and hop the border to Otavalo in Ecuador! Day 19: Leave Colombia behind, and hop the border to Otavalo in Ecuador! 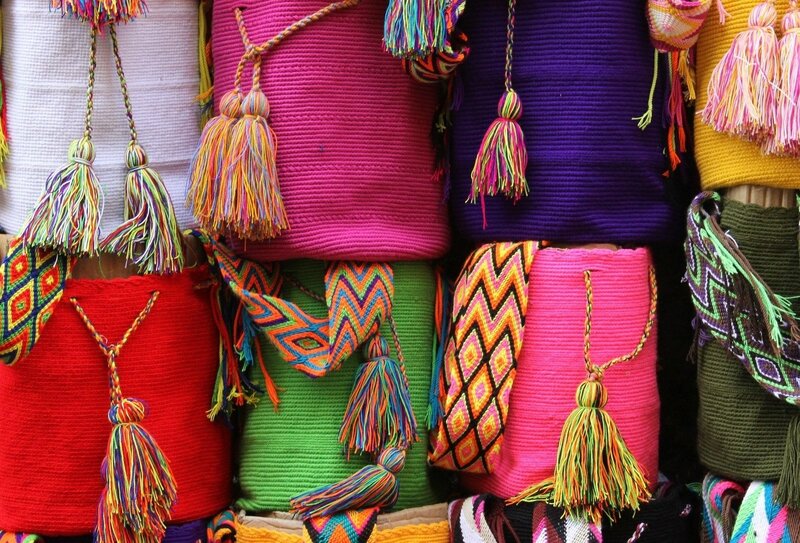 Day 20: Check out the colourful markets in Otavalo, and grab some amazing souvenirs, before heading to Quito! Day 20: Check out the colourful markets in Otavalo, and grab some amazing souvenirs, before heading to Quito! Day 21: Say goodbye to your travel buddies, or continue the adventure in South America! Day 21: Say goodbye to your travel buddies, or continue the adventure in South America! Day 1: Welcome to Colombia! Arrive into Cartagena and make your way to your accommodation. Meet the rest of your group at an evening welcome meeting where you’ll learn a little more about the adventures to come! Day 2: Explore Cartagena. Today is a free day to explore colourful Cartagena. Why not visit the impressive Castillo de San Felipe de Barajas, climb to the summit of Convento De La Popa, or wander the mult-coloured neighborhood of Getsemani. You could even try a mud bath at Volcan Tumuto! Breakfast included. Day 3: Santa Marta. 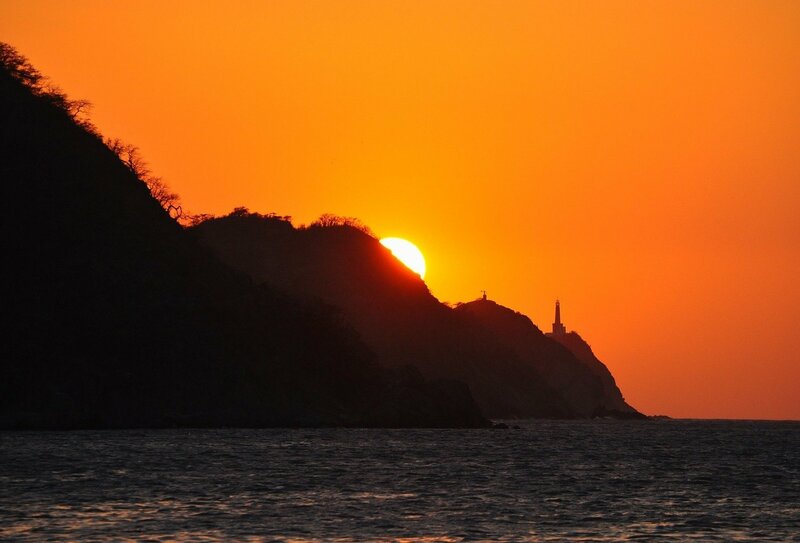 Hop on a bus to the laid-back coastal town of Santa Marta. 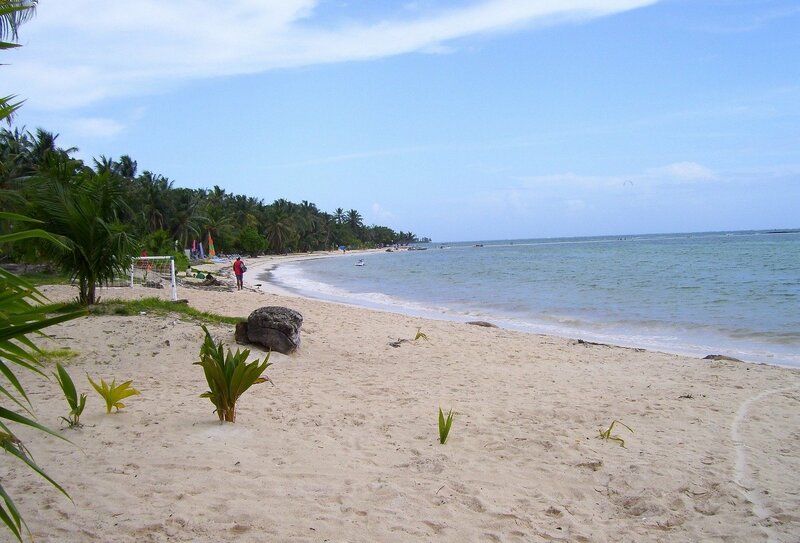 Here you can chill out on the beach and take a dip in the heavenly waters or have a look around the Gold Museum. Breakfast included. Day 4-8: Lost City Hike. 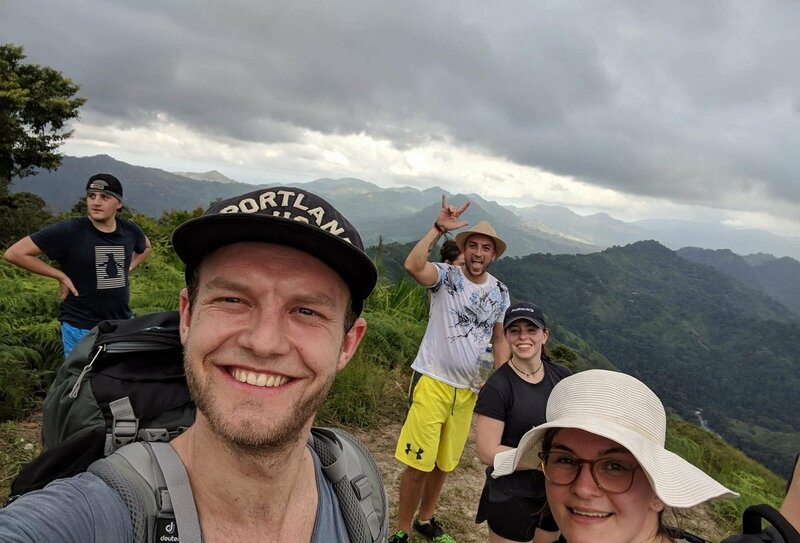 5-day round hike to beautiful Ciudad Perdida. On day 8 you will enjoy lunch at a local community project. All meals on the hike included. Day 9: Tayrona National Park. 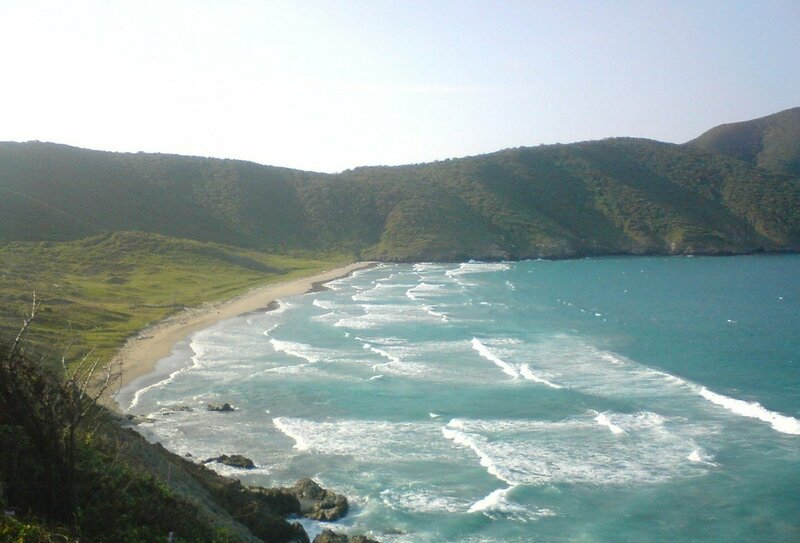 This morning you’ll travel to the perfect paradise of Tayrona National Park. Spend the day here lazing around on the shores or paddling in the turquoise sea. Breakfast and lunch included. Please note: Tayrona National Park is closed in February. Travellers will visit the waterfalls and coffee farms of Minca instead during this period. Day 10: Taganga/Medellín. Hop on a short domestic flight across to the big city of Medellin. Wander among the varied neighbourhoods and explore the museums, churches and markets. In the evening, there’s a chance to enjoy the city’s sizzling nightlife with your group. Breakfast included. Day 11: Free time in Medellin. Do anything you missed yesterday and if you fancy a different angle on things you could go paragliding over the city (extra cost)! Day 12: Medellín/Salento. A full driving day through shifting Columbian landscapes to Salento in the Cocora Valley. Day 13: Salento. Today you will have free time in this famous coffee region. Opt to hike through stunning landscape or chill in the beautiful nature. Day 14: Salento/Bogotá. Travel east to beautiful Bogotá. Set in the shadow of dramatic Andean peaks, Colombia’s capital is a vibrant mixture of cool café culture, historic streets and delicious market cuisine. Breakfast included. Day 15: Bogotá. Spend more time exploring and relaxing in Colombia’s greatest city. Opt to check out the Gold Museum and see over 30, 000 gold treasures from pre-Hispanic societies. Breakfast included. Day 16: Bogotá/Tatacoa Desert. Did you know that Colombia has a desert? Today you will venture into the Tatacoa Desert and drink in a vast sea of desert stars. Day 17: Tatacoa Desert/Popayán. Spend the morning exploring the desert, before heading across to colonial Popayán. Discover the local architecture and hang out in the street side cafes. Breakfast included. Day 18: Popayán/Pasto. Explore further south to impressive Pasto and sample the local ice cream and colonial buildings. Breakfast included. Day 19: Pasto/San Clement. Visit Lajas Sanctuary this morning which is famous for its church built on a bridge! Spend the night with an indigenous community in San Clemente. Breakfast included. Day 20: San Clement/Quito. 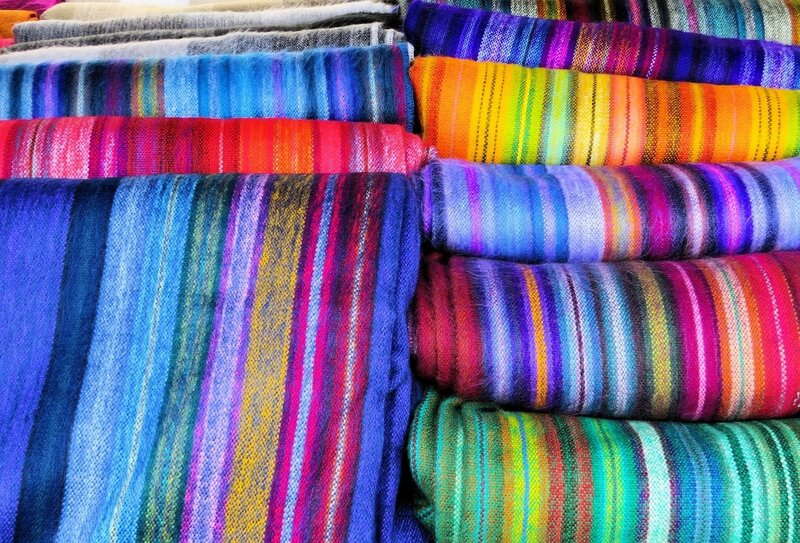 Visit the famous Otavalo market and hunt down some souvenirs, colourful textiles and jewellery. Spend the night in Quito. Breakfast included. Day 21: Quito. Tour ends. Depart at any time. Breakfast included. Arrive into Rafael Núñez International Airport and make your own way to your accommodation in Cartagena. You can catch a taxi from the airport very easily. 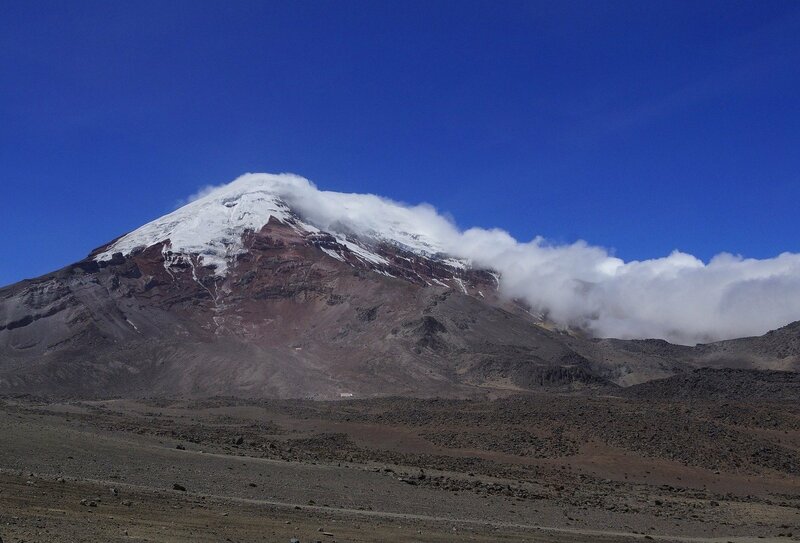 The tour ends in Quito, Ecuador, on day 21. A return airport transfer is not included but is easy to arrange. Let us know your onward travel plans and we can advise you about your best transfer options. 20 nights of multi-share accommodation are included on this tour. 16 breakfasts, 6 lunches and 4 dinners are included on this tour. All meals are included while you are trekking. You will need to purchase the rest of your meals yourself. This is a great opportunity to throw yourself into Colombian culture and sample delicious authentic cuisine. Some typical Colombian dishes include rice, beans, fried vegetables and spiced meats. Plenty to enjoy! The minimum age to join this group tour is 18. This trip is designed for travellers aged 18-39. British citizens can enter Colombia for up to 90 days without a visa. You may need to provide proof of onward travel. Your passport must be valid for a minimum of 6 months from your date of arrival in Colombia. You can enter Ecuador without a visa for up to 90 days so long as you have 6 months validity on your passport from the date you enter Ecuador.